It's not easy being the malt guy in a room full of hop heads. I can hang with the best of them and spout out my C, C, C's like it's nobody's business, but malt gets my motor moving. Don't get me wrong, I get hopgasms each and every brew! But what is a beer without it's sweet backbone? Not all beer styles are hops- forward, obviously. American light lagers being the most well known example. But being bitter-less doesn't mean flavorless. 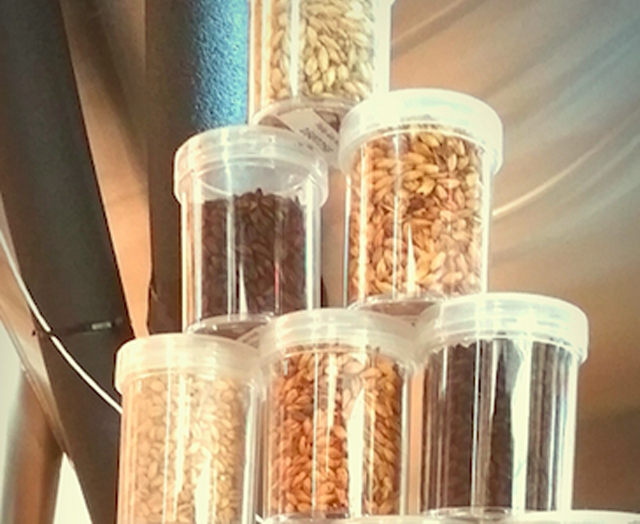 With an infinite range of possibilities for kilning temperatures, degrees of roastiness or caramelization, and even patented malting processes, malteries can provide the tools that matter to beer flavor, stability, mouthfeel and overall pleasure of drinking. This is why we pay particular attention our malt bills to ensure that the overarching beer profile is what we intended. For example, our Puppy Drum Pale is a 4.9% ABV sessionable pale ale which is flavor bombed with hops with floral and citrus characteristics like Ahtanum, Amarillo and Centennial. To balance the bitterness and accentuate the hoppiness we complement our 2-row Pale Ale Malt with a medium caramelized malt and bit of biscuit malt. These darker, maltier, breadier malts help give Puppy Drum its copper hue and when mashed in a slightly higher temperature than a typical brew build a full body that carries the hops components much further. This is particularly important in a lower ABV beer to prevent it from suffering from a watery, spineless backbone that may unbalance the hops resulting in a harsher overall flavor. So, we the brewers at WBB love our malt and love our beer and hope it shines through in every pint poured here. Remember, malt matters!